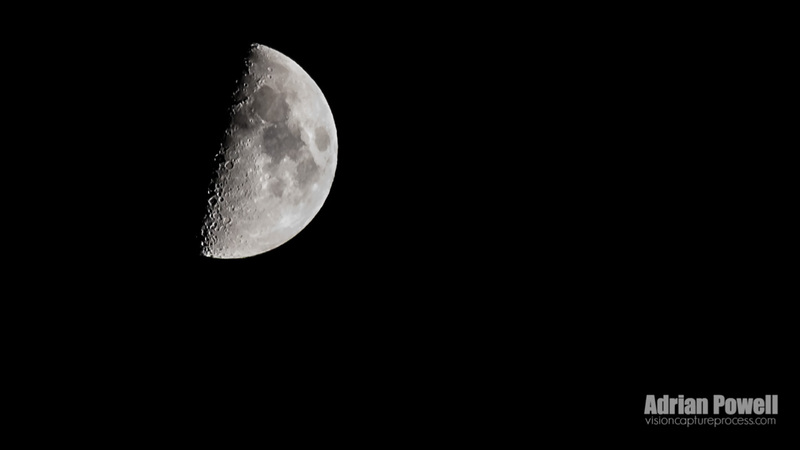 Taken one evening, a couple of weeks ago – a crisp, clear night. The waxing gibbous moon looking majestic in the sky! For me, it is all about the light (as a photographer, it always is!) – while I love a full moon, looking at this one you see lots of intricate and interesting details due to the side lighting at the terminator (where the moon goes into shadow) – you can see the relief of the craters from various meteors and other cosmic debris that have hit the surface a long, long time ago – absolutely fascinating. Just adjusted levels on this photograph and sharpened to enhance the details.